The fight to rescue thousands of young African girls enslaved in foreign countries. 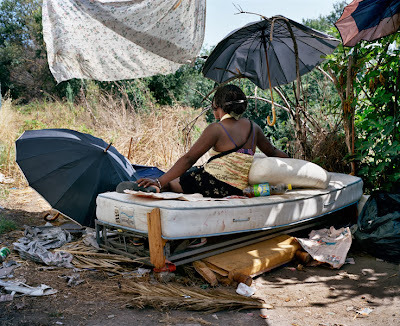 Thousands of innocent young African girls are being trafficked from their countries to various African nations as well as to Europe,the Middle East and the Far East where they are sold into forced prostitution as modern-day slaves. These girls,many of them young,inexperienced and largely uneducated are being lured away by unscrupulous and deadly human trafficking syndicates with highly organised international networks.Exploiting the poverty and ignorance of their victims,they deceive them with irresistible offers of non-existent juicy job opportunities in foreign lands. Those who get caught by this bait,are subsequently trafficked to various locations in Africa,Europe and Asia where they are forced to prostitute under the threat of death or harm to their loved ones back home.Popular locations known for the presence of under-aged African prostitutes in Africa include Ivory Coast,Ghana,Burkina Faso,Mali,Senegal,Morocco,Libya,Mozambique,Swaziland,South Africa,Uganda,Kenya and Madagascar.Nigeria is a major supplier of young prostitutes while Italy,France,Greece,Spain,Russia,Germany,Belgium,the Netherlands,India and Malaysia are prominent hosts in Europe and the Far East. These unfortunate victims are treated as slaves and they practically have no rights whatsoever.Their movement is restricted and violence is often applied to keep them subservient.Stripped of basic human dignity,most are forced to service as many as 30 men a day,sometimes without condoms.A significant number end up badly damaged psychologically and take to hard drugs to drown their misery.Others end up with one form of Sexually Transmitted Disease or the other,and deprived of proper medical care,many lose their lives as a result. Sadly,most African governments are yet to rise up to the challenge.The scale of this problem is huge and much of the current effort directed at stemming the tide has not yielded significant breakthroughs.The situation is escalating,trafficking is increasing,and slave-masters are operating with impunity,sometimes with the connivance of corrupt law enforcement agents. We can not and must not sit back and allow this terrible monster to continue to grow before our very eyes.We dare not disappoint these thousands of helpless African victims.Posterity would not forgive us if we fail to act against these vipers feasting on our young girls,the future of our beloved continent.So we invite YOU to join us to take a stand against this callous manifestation of man’s inhumanity to man. Please click on this WHERE AND HOW YOU CAN HELP link to see other ways of supporting the cause.